“Dear God, I want to be a part of your family. You said in Your Word that if I acknowledge that You raised Jesus from the dead, and that I accept Him as my Lord and Savior, I would be saved. So God, I now say that I believe You raised Jesus from the dead and that He is alive and well. I accept Him now as my personal Lord and Savior. I accept my salvation from sin right now. 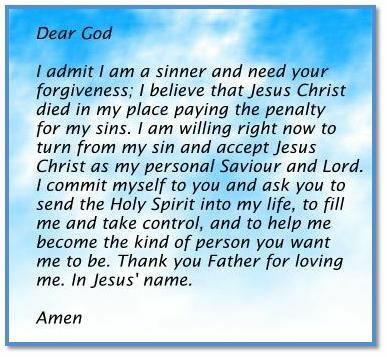 This prayer may have credit as a starting point on the Christian life. However, it is a starting point and not a destination. It can also be prayed with an insincere heart, and God looks on the heart. What kind of life is a new convert committing to? When they become a Christian, a Christian knows very little of what comprises enduring faith, true doctrine, and godly love. However, to become a Christian means to commit to growth in these areas. We lack information, we lack understanding and we lack will-power at the outset of our faith. A mature Christian needs to be better informed, more wise, and more loving than someone who has just reached out to Jesus to save them from sin. This maturity is the result of a life lived in repentance, a repentance which was stated in the Salvation prayer. Christian in North America often lacks any sense of maturity. Christians get saved to take care of sin, but often not with any distinctly Christian life in mind. This falls short of God’s ideals. Marriage provides a some good illustrations. As anyone who is married knows, you do not know your spouse before you are married as well as you do afterwards. You are often committing to spend life loving someone you hardly know. On dates you provide some information to each other, but it is limited. A proposal of marriage is usually made on somewhat limited information. We hope the intel is a fair representation of everything we do not know. Life together is about exploring the other person and committing to the pursuit. What if we got married just for the wedding day and not for the life it brings? Marriage was not designed to save us from celibacy. Marriage was given to us to do life in a different way than we can alone. Salvation is give to us, not just to save us from sin, but to raise us with Jesus into a new life. In this new life we grow in maturity and become more like Jesus. Because Jesus is perfect, and we are not, we are always growing. We always lack love, knowledge, and wisdom. God provides his Word, he provides pastors, he provides churches, and he provides Bible colleges to help us to grow. We need to learn in fellowship with each other. We were not designed to learn in isolation. The Holy Spirit illuminates God’s Word, guides us into learning experiences, and counsels us in our troubles. If we have stagnated in our faith – if we feel like there is nothing more to learn about Christian belief – we deceive ourselves. This life is a quest. We need to understand how little we understand and we need to press on to more. Paul, in his letter to the Thessalonians, wanted to return to the church and give them so much more. They were saved, but salvation is just the beginning. There was so much they did not know and he wanted to be their teacher. Who are you doing life with? Who is doing life with you? Who are you teaching? Who is teaching you? How can we thank God enough for you in return for all the joy we have in the presence of our God because of you? Night and day we pray most earnestly that we may see you again and supply what is lacking in your faith. Now may our God and Father himself and our Lord Jesus clear the way for us to come to you. May the Lord make your love increase and overflow for each other and for everyone else, just as ours does for you. May he strengthen your hearts so that you will be blameless and holy in the presence of our God and Father when our Lord Jesus comes with all his holy ones. As the new semester starts, people will be entering new schools for the first time. In a new school, or a new job, or a new town, it is important to find a mentor. As we advance in years it is important to mentor those who are younger, or less experienced, than ourselves. Here are 5 traits of a good mentor or teacher. Desire for face time. A mentor does best when they make time to speak face-to-face. The mentor can not only follow the words of their protege, but they can read the body-language. How much more than mere words is an appropriate touch from someone who understands! Desire for achievement. A mentor has an idea of excellence the novice lacks. Because each person in the relationship desires success, they can set goals and make a plan. This is a difference between a mentor relationship and a normal friendship. A mentor is leading their charge on the path to competency or maturity. Desire for frequent updates. Often desired personal goals have stages of development. The mentor does well if they state the expected stages or obstacles that will occur on the pathway to success. These signs become helpful markers, which give evidence of progress. Desire to strengthen. When a novice hits an obstruction, he or she often lacks a strategy or tactic to succeed. Although the mentor knows strategies, it is their responsibility to encourage their protege. The protege must develop an inner fortitude which sticks to the task during trials. The word for this inner fortitude, with regard to problem solving, is grit. The literature advocates development of a ‘growth mindset.’ Teachers do well if they develop growth mindset in their students over a lexicon of solutions to different tasks. Desire to encourage. Positive words which reframe negative situations can be life-giving to someone who is struggling. The simple act of listening can convince a discouraged person that they are not alone. Notes, phone calls, or texts are always welcome, but sometimes they come at just the right time. Naming strengths and previous successes can pick a person up and aid them toward the finish line. Of course, the repeated word here is ‘desire.’ If we have no desire or passion, we will not be a good mentor. A mentor who has all the skills, but just doesn’t care is going to de-motivate because of their apathy. A mentor who is passionate about a shared vision is going to be the best help. Who do you have in your life who shares your vision and helps you toward your goals? But, brothers and sisters, when we were orphaned by being separated from you for a short time (in person, not in thought), out of our intense longing we made every effort to see you. For we wanted to come to you—certainly I, Paul, did, again and again—but Satan blocked our way. For what is our hope, our joy, or the crown in which we will glory in the presence of our Lord Jesus when he comes? Is it not you? Indeed, you are our glory and joy. 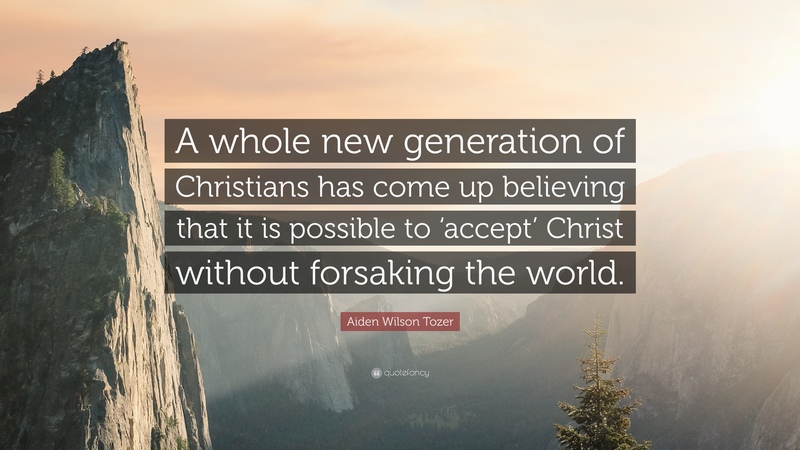 A. W. Tozer first made me question how we use the term ‘accept Christ.’ He wasn’t a fan. In evangelistic campaigns many preachers plead with the congregation to ‘accept Christ.’ They might ask people to raise their hands and come to the front to pray to ‘accept Christ.’ When this goes well, the new convert accepts the message they have been given. They take it to heart and a seed is planted that begins to grow. As they accept Christ, there is a full surrender to the message. In the gospel of the New Testament, the message of the evangelist is one of repentance and surrender. To accept the gospel means to relinquish an old way of life and take on a new one. It also means to surrender all resistance to Jesus and to follow him as a willing slave. This kind of unconditional acceptance has been missed in the twentieth century, and the twenty-first century is picking up where the twentieth century left off. At this time, the gospel is presented with very little call for change. To accept Christ has become a mental assent to Jesus coming to wash away my sin. The lordship of Jesus is lost in the message. A person accepts Christ like one might accept a bid from a window-washer to wash the windows. Jesus comes cap-in-hand into the life of a proud human being. He does a little dusting around the new believer’s heart and then sits in a corner waiting for any opportunity to be useful. This is in stark contrast to the acceptance of the message in the New Testament. The Thessalonians, for example, were commended by Paul because of the way they accepted his message. They accepted it not as the word of men but as the word of God. This turn of phrase contains the fear of the Lord. The Thessalonians subsequent submission to the word of God was based in a high reverence for what they were hearing. The works that poured out of the Thessalonians were a result of the strength of their belief. They did not accept the arguments of Paul as a rational debate where the strength of the opponent’s argument had to reluctantly be admitted. The Thessalonians accepted and received the word of God (the gospel) like a shoreline receives a tsunami – never to be the same again. We must therefore beware of the ‘easy believism’ which has become part of our communication of the gospel. Our winsome easy-come-easy-go communication has led to a casual, non-committal acceptance of Jesus. It has also led to an easy forgetting of Jesus. We do not communicate clearly the demands of Christ, we do not communicate the wretched condition of the human heart, and we do not communicate the majesty of God. We sound like peddlers who lack confidence in their cheap, plastic toys. We should sound like envoys of the conquering king. Let’s be careful of encouraging this generation to ‘accept Christ.’ Let’s encourage people to receive a message where they humbly plead with God to accept them. And we also thank God continually because, when you received the word of God, which you heard from us, you accepted it not as a human word, but as it actually is, the word of God, which is indeed at work in you who believe. For you, brothers and sisters, became imitators of God’s churches in Judea, which are in Christ Jesus: You suffered from your own people the same things those churches suffered from the Jews who killed the Lord Jesus and the prophets and also drove us out. They displease God and are hostile to everyone in their effort to keep us from speaking to the Gentiles so that they may be saved. In this way they always heap up their sins to the limit. The wrath of God has come upon them at last. I have been reading Michael W. Holmes on Thessalonians and have been enjoying it. He lists six characteristics of the Thessalonian church we should look for today. It was a community rooted in God’s grace, love, and election. It was a community committed to Jesus Christ. It was a community empowered by the Holy Spirit. It was a community that bore witness to the gospel. It was a community characterized by faith, love, and hope. It was a community clearly differentiated from other religions. These are good markers to have in mind when evaluating the health of a church. I do not advocate church hopping – church shopping. I do not advocate thinking of membership to a church like membership to a buyers’ club. We do not take our dollars elsewhere if the church does not meet our exacting standards. That kind of mindset leads to people being permanently unsettled and churches being under supported. If our church is lacking health in one of these areas, I advocate as a member our church is healthy in some of these areas, we should give thanks. We should praise God and broadcast to others when our churches are healthy. If our church lacks health in one of these areas, we should develop a strategy. We should take on the challenge of moving in the Holy Spirit’s power to upgrade the Lord’s house. Say, for example, you think your church sacrifices love for truth in the current culture wars. The preaching denigrates the opposition in the battle for public policy on issues of social justice, abortion, the environment, the economy, or sexuality. It is not time to leave, but time to talk quietly with those who preach without love. It is not time to attack them, but it is time to reason from scripture about speech seasoned with salt and full of grace. All the churches I know can improve a little bit, so let’s get discussions going about how we can work together for change. The post above is written after reflection on 1 Thessalonians 1:2-10. For we know, brothers and sisters loved by God, that he has chosen you, because our gospel came to you not simply with words but also with power, with the Holy Spirit and deep conviction. You know how we lived among you for your sake. You became imitators of us and of the Lord, for you welcomed the message in the midst of severe suffering with the joy given by the Holy Spirit. And so you became a model to all the believers in Macedonia and Achaia. The Lord’s message rang out from you not only in Macedonia and Achaia—your faith in God has become known everywhere. Therefore we do not need to say anything about it, for they themselves report what kind of reception you gave us. They tell how you turned to God from idols to serve the living and true God, and to wait for his Son from heaven, whom he raised from the dead—Jesus, who rescues us from the coming wrath. J. P. Moreland in his book Love Your God with All Your Mind makes a case against the North American Senior Pastor model of leadership. He argues that it is more in line with the corporate model of a CEO and a board of directors than it is with models of leadership found in the Bible. Of course, the Bible does have great men of singular vision and singular leadership like Moses, King David, and especially Jesus. However, does this mean it is how our churches should be run? There are certainly great figures who stand out in the New Testament apart from Jesus. Peter, Paul, Jesus’ brother James, Titus and Timothy were all church leaders in some sense. Peter, Catholics claim, was the rock upon which Jesus built the church. He was the first Pope and subsequent popes lead because of apostolic succession originating with him. Paul wrote authoritative letters directing churches how to act. James was head of the church in Jerusalem. He seems to have presided over important decision-making moments in the early church. Titus was the overseer of the churches in Crete. Timothy oversaw the church in Ephesus. 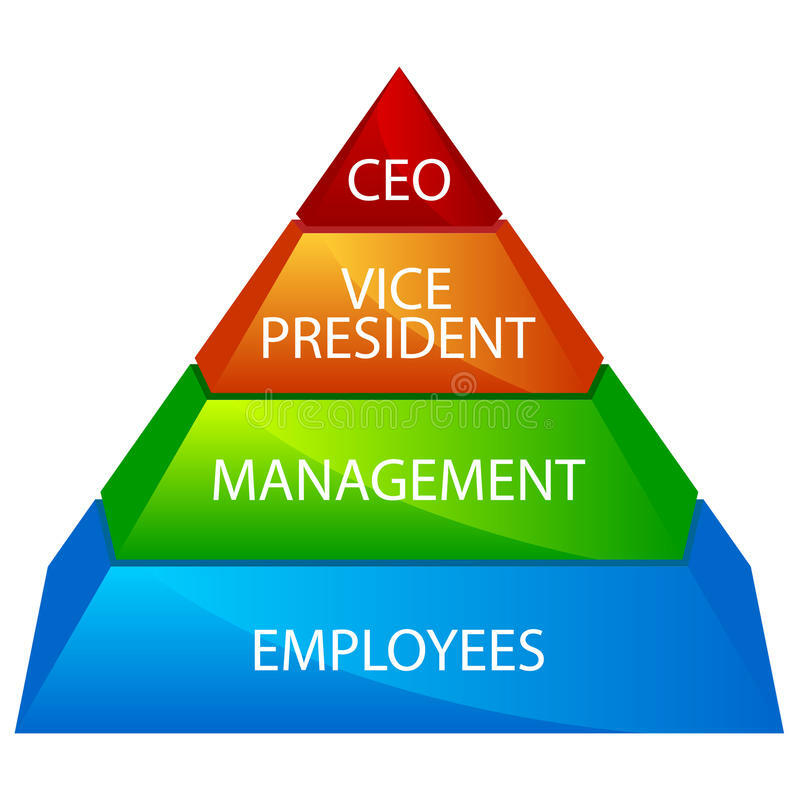 So, surely we should have singular leaders just like them at the top of a pyramidal structure of hierarchy. In the biblical accounts, though, it gets a bit messy. Peter was appointed, some say, as the head of the church, but the Bible gives account of how he was held in check by Paul (gal 2:11-13). Paul and Barnabas parted ways over John Mark. Neither of them seemed to have the definitive authority to dictate what course of action had to be taken (Acts 15:36-41). James organised meetings and managed decision making, but councils were held in Jerusalem to make decisions for the church (Acts 6). In other words, James did not make the policies of the early church by himself. Neither were the early apostles merely consulted on their opinions. The early church in Jerusalem made hard decisions through the hard debate of equals (Acts 15). Titus helped to organise the churches of Crete, but it was a purely temporary role. He was called by Paul to Nicopolis (Titus 3:12). He then went on to Dalmatia. Timothy, similarly, was sent to a church for a task rather than a position (I & II Timothy). With Timothy in particular, it is clear that he advised a group of elders who really had the running of the church. Within the teams of the New Testament, there are visionaries, prophets and teachers. They hold great influence, but they are not the heads of organisations in the same way we tend to establish head positions. The success of the early church was that the vision for the church was embodied in the DNA of the membership – the laity. People could run church without a bishop, vicar, senior pastor, or an apostle present. This is why it could survive the martyrdom of its great ‘leaders.’ The missionary work they did was so effective it made them non-essential. They motivated and equipped the early church so thoroughly that it hardly missed a beat when the leaders were removed or traveled elsewhere. Unfortunately, the same can not be said of the church today. Church membership rises and falls based on the charisma of the senior pastor. The most successful senior pastors become celebrities. The senior pastor is often a professional minister who is expected to maintain a spirituality superior to the membership. He or she is often judged by his or her capacity to preach, maintain the church, feed the homeless, and visit the sick. The church may assist the minister in his or her many tasks, but the early church had the responsibility the other way around. The apostles primarily existed to mobilize and equip the church for its own ministry. The local churches of the New Testament did have leadership, but the evidence we have is more in line with a plurality of leaders consisting of overseers, deacons, ministers, pastors, or elders. Some of these terms are used interchangeably, but two tiers existed. The deacons (and probably deaconesses (Romans 16)) took care of the administrative tasks and the custodial work. The elders preached and taught the apostles’ teachings when the apostles were absent.. The church made more decisions as a body than many churches do today. They sought God’s guidance on issues and looked for agreement. They believed the Holy Spirit would lead into unity and truth. A person could prophesy about God’s will for the people, but someone with the gift of discernment would verify whether the word was truly from God. There were multiple layers of accountability. There were checks and balances. The body of Christ is comprised of many interdependent people who use gifts to support each other. In the early church each member would prepare themselves for the worship services. When they met together daily, one would bring a song, another a word of prophecy, another a hymn. Something was expected of everyone. People did not come as passive consumers of a weekly service but active contributors of an interconnected way of life. In this way the Holy Spirit coordinated mutual service. In the New Testament, the singular head of the body is not identified as a particular apostle, elder or deacon – the singular head is Christ. In summary, as people sought God through prayer and worship, an interconnected, shared leadership emerged. Those who were more mature in the faith had responsibility to guide and develop those who were less spiritual. Jesus’ hand-picked Apostles had an initial role, never to be repeated. Later generations of disciples and apostles lacked a singular head who could easily be decapitated and cause a church to end. This model of leadership is being rediscovered in the corporate world. Collective Genius, Team of Teams, and The Starfish and the Spider all advocate more nimble and agile leaderless organisations. They seem to have found the structure that the church might have lost. Team Leadership. If the Pauline pattern of team leadership is indeed worth repeating today (even though it may not be normative), how might one go about applying it? For one perspective, the matter of team leadership can be seen as a matter of church structure. This is probably not a fruitful line of approach, however, because most of is already have substantial commitments, both as individuals and as denominations, to one or another of the different forms of church structure that have developed over the centuries for a variety of reasons (historical, theological, sociological). Moreover, even if we were somehow to slip free from these commitments and agree to start from scratch, there is in the New Testament no definitive model for church structure to guide us. There may be a principle that should guide our thinking about church structure (specifically, the structure should serve the needs of the congregation, not the reverse), but there is no definitive model as such. So approaching this matter as a question of church structure is not the most practical way to proceed. Instead, we might begin by thinking about the Pauline model in terms of how it contrasts with a common feature of many churches today regardless of their particular structure. Whatever their formal structure (congregational, presbyterian, episcopal, or monepiscopal), many individual churches are hierarchically structured in a way that typically concentrates power and authority in the hands of one person. In this respect, they are more like a pyramid-shaped, hierarchically organized corporate structure or military command model than the models of the New Testament, whose dominant images with respect to leadership are those of the family or servanthood. Consider, for example, the many churches today in which the senior pastor functions essentially as a CEO, with staff and church board subservient to him, or how often (and how quickly!) the latest fads in business organization filter their way down into the church, or the extent to which the jargon of business infiltrates our thinking (e.g. , a “business manager” of a church who boasted of turning his day care ministry into a “profit center”). There are not insubstantial dangers associated with this pattern of leadership. As Gordon Fee observes, “leadership, especially of the more visible kind, can be heady business … The great problem with single leadership is its threefold tendency to pride of place, love of authority, and lack of accountability.” The last point, accountability, is particularly critical in view of significant temptation and moral failure (sexual or financial, in particular), temptation to which a distressing number of pastors and Christian leaders have succumbed in recent years. Team leadership, which can be instituted informally within the constraints of any number of different formal structures, offers important advantages in this respect. Accountability to other members of a leadership team works to reduce the chances of a leader falling into sin. Moreover, even in instances where there is significant moral failure of a leader, the presence of a team rather than a single individual leadership reduces the odds that the failure will devastate the congregation.